On September 11th 2001 around 3000 people lost their lives in of the deadliest attacks the United States has ever seen. The attacks sparked a 10 year military occupation of Afghanistan that many would argue was useless and ineffective. Civil liberties advocates have lamented the truncation of Constitutional rights in the name of protecting Americans from future terror attacks. Just yesterday, President Barack Obama announced he would do whatever it takes to eliminate the newest boogey man, ISIS, despite American intelligence agencies concluding that it poses no immediate threat to the United States. 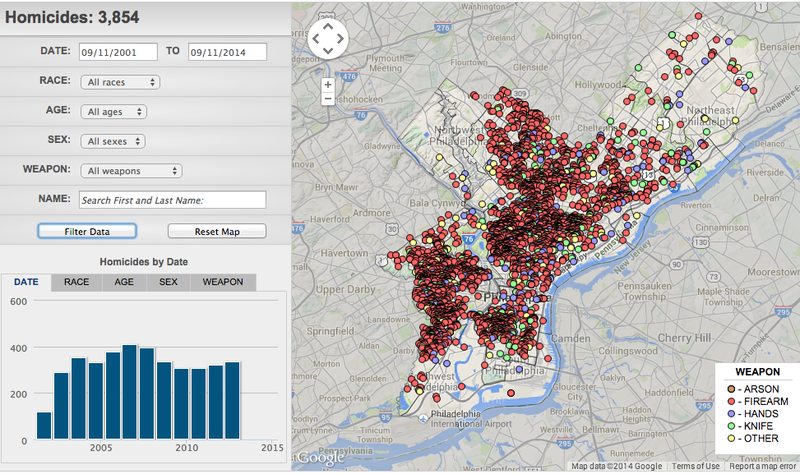 Since 9/11/01, 3,854 people have been murdered in Philadelphia. That is, more people have been murdered in this city alone than the number of people who died in an event that has had both nuanced and catastrophic effects on policy making, both locally and nationally, the destruction of the World Trade Center towers. And while murder is on the decline, violent crime in the most dangerous neighborhoods is up, the county jails are still over crowded, and Philadelphia is still one of the poorest big cities in the nation. Just last week Philadelphia Mayor Michael Nutter went on CNN and made some quite alarming statements. Watch the video below. 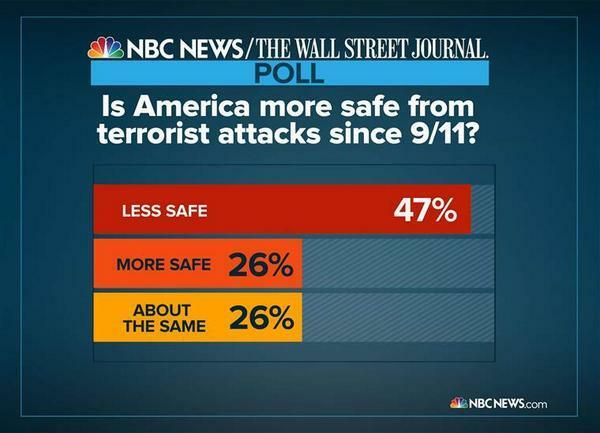 And while Mr. Nutter says we are safer, America feels quite contrastingly, in a recent NBC/Wall Street Journal poll it was revealed that 47% of Americans don’t feel any safer since 9/11 despite the billions upon billions spent to fight terrorism. Maybe it’s just me, but it seems that somewhere priorities across the board went astray. The striking links between poverty and crime have been studied and reviewed, and with massive education cuts and area teachers having to crowdsource necessary teaching tools, it seems no Philadelphia politician is adamant about addressing the elephant in the room: poverty. With more and more money being thrown at the Philadelphia Police Department for things like tents and sleeping bags, and $1,000,000 a year for a fusion center that no one knows enough about, I would like to know what the city is doing to address not the crime and terrorism “epidemic,” but the poverty epidemic. And maybe, just an idea, Mayor Nutter should spend his last year in office focusing on Philly instead of parading around on National Television, senselessly promoting an anti-terrorism security-state agenda. Because clearly…that’s working. Reblogged this on Joshua Scott Albert.